“BOO-ING” is one of my kids favorite things about October. 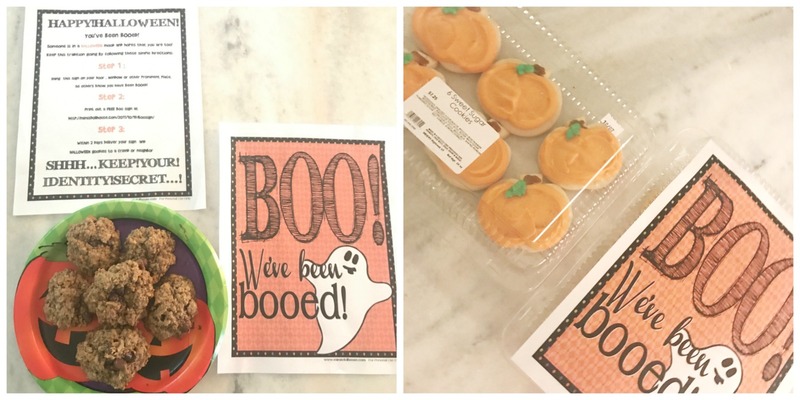 How you get started is by making (or buying) a fun halloween treat you’d love to share with two of your neighbors. This year we made yummy coconut chocolate chip cookies -we all ate too many of them- so we ended up having to buy pumpkin sugar cookies from our local market. 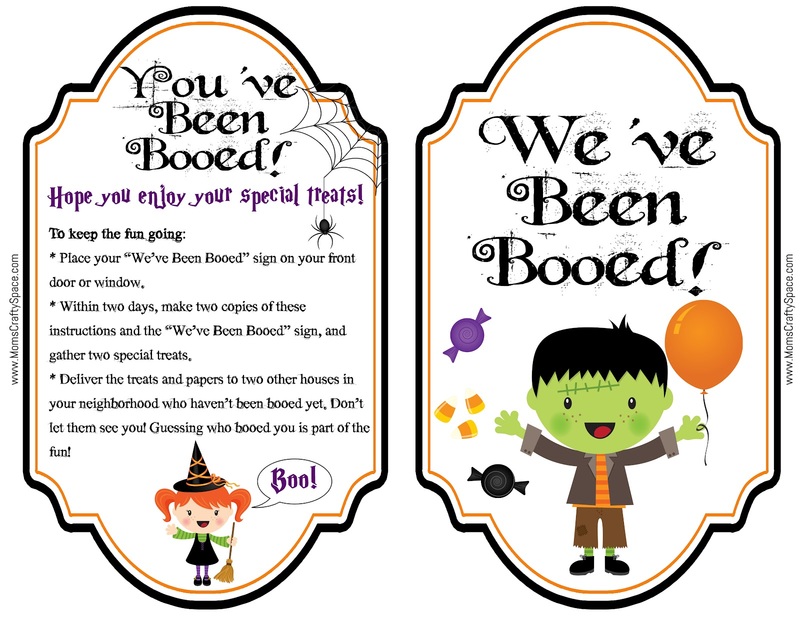 Then you print 2 paper window signs that reads “we’ve been boo’d”, *this sign lets all the other neighbors know that your house has been “Boo’d” so when others are out boo-ing they know what houses have already been done. The instruction paper explains it all very well. It’s a super easy fun way to get your kids and neighborhood into the Halloween spirit. I love going trick-or-treating & seeing all the houses that got “Booed” -it always spreads so far.